One day, I was having a Facebook chat with Arrey and I mistakenly dialed the call button. Arrey wrote back to me, “Sis you call me? I no di hear oo.” (Sister, did you call me? I can’t hear oo.) When I heard or rather read these words, I was astonished in a good way. This was the second time she told me she is hearing impaired but she has never come across as a hearing impaired person to me. I will tell you why. 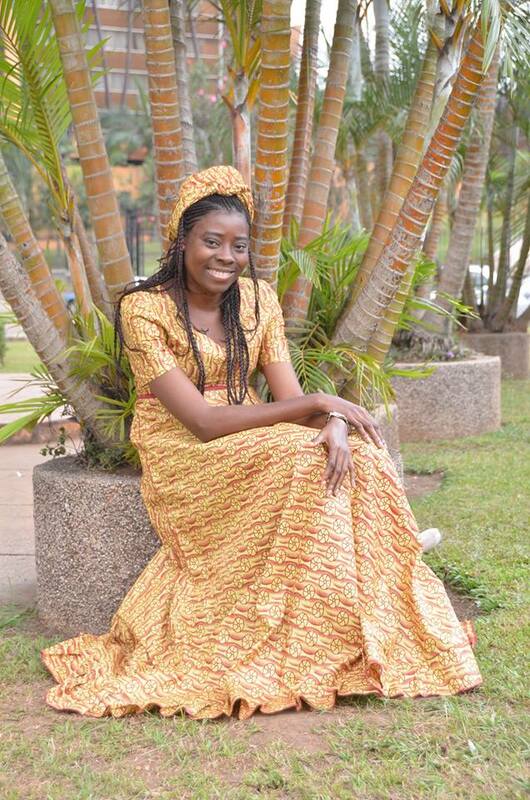 Arrey Echi was diagnosed with Sickle Cell Disease when she was only two years old. Some where along the line, she lost her ability to decipher sounds. Yet she is one of the most confident people I have ever met. So confident that some people consider her saying she is hearing impaired an alter-ego game. She is hosting no pity party and is so comfortable in her own skin. This is why her telling me of her impairment “just like that” was such an inspiring shock (if there’s anything like an inspiring shock). Arrey gives a whole new meaning to the saying, “when life gives you lemons, you make lemonade.” She has not only made lemonade with the lemons life threw at her. She has made lemons look like oranges. Very sweet oranges! 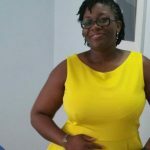 Recently featured on world renowned Time.com and a social networking site for women, Worldpulse.com, she is doing all she can to be a sickle cell voice. 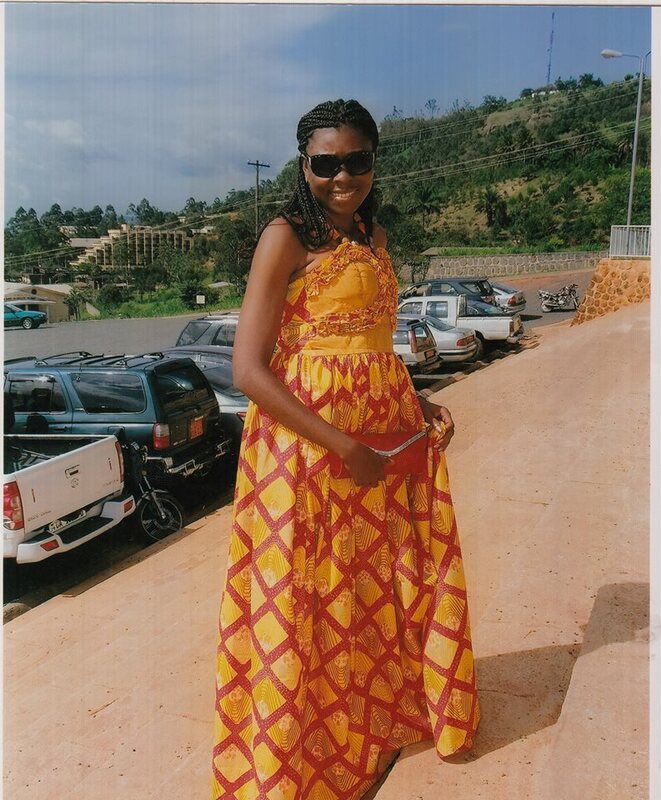 It was from her that I first learnt to address those who suffer Sickle Cell crisis as “warriors”. What a positive way of putting it! 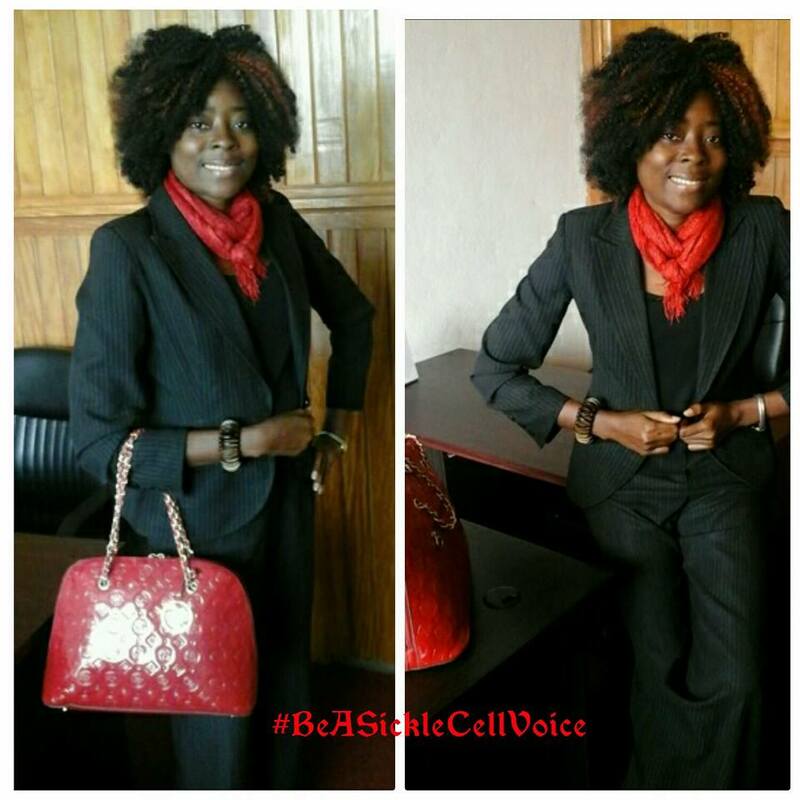 She wants the world to know that Sickle Cell is neither a death sentence nor witchcraft. Let me add here that it is neither contagious. 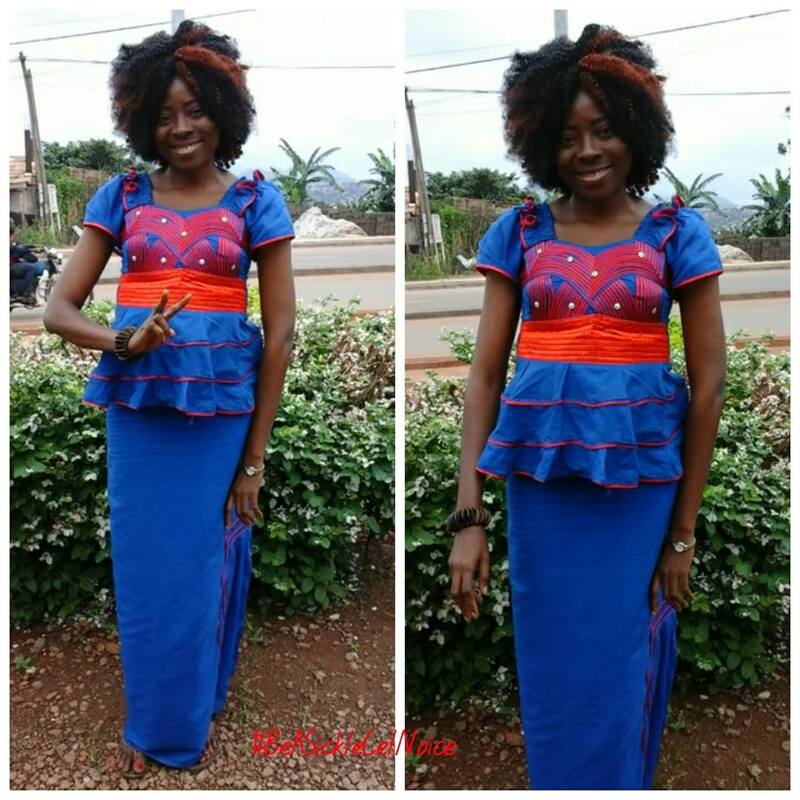 She recently organised a successful workshop in Yaounde, Cameroon to raise awareness about Sickle Cell. 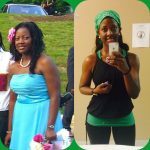 The warrior writes to defy myths surrounding the disease on her blog, Joy2Endure.com. I have never met Arrey physically but I feel like I have known her because we have bonded virtually like sisters. She is one of those people I imaginatively think I have met face-to-face. I just can’t explain when and how. Her sanguinity, poise and warmheartedness can be felt through her words. I had a chat with her about what growing up with the SS gene entailed. She shares her struggles, her survival techniques and some sageness for the world. Lean in and enjoy! How old were you when you first discovered you were a Sickle Cell sufferer? 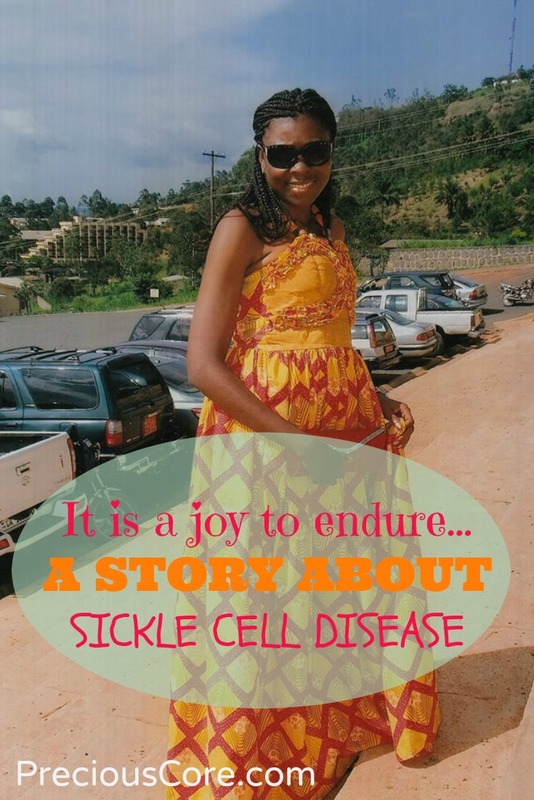 I was two years old when I was diagnosed with Sickle Cell Anemia. Since then, hospitals have become by default my favourite rest house because my life has been a never ending hospital marathon. And pain killers are my most loyal companions. What was it like in school, growing up with the disease? School was fun, I enjoyed learning and reading and I had some amazing friends and teachers who helped me with my love for school and learning. 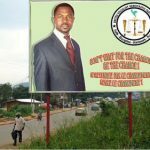 However, even their best efforts and support could not stop the stigma and discrimination I faced from others. 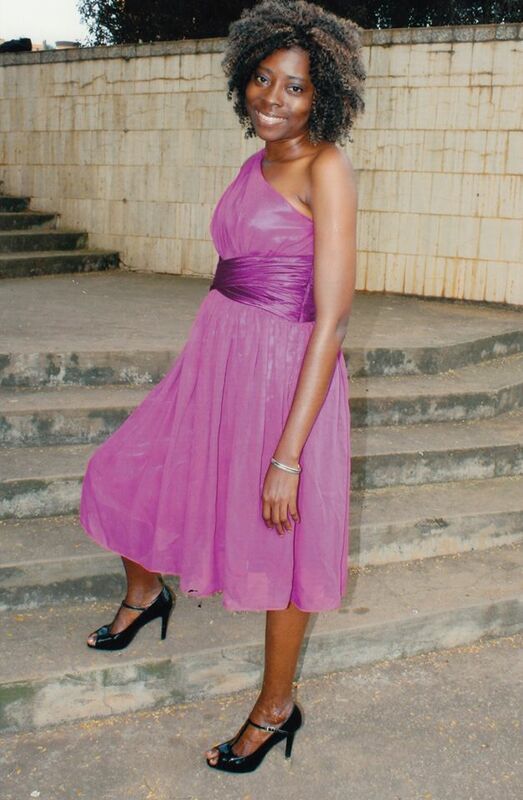 I was called names like ‘half die’, ‘Ethiopian’, ‘flat chest’, and because I lost my hearing somewhere along the journey, I was referred to as ‘mumu’. I always lagged behind in notes because being hearing impaired, I couldn’t keep up with teachers dictating notes. So I had to risk copying wrong notes. Also, there were times I spent more months in hospitals than in school and times I had to leave my sick bed to an examination class. So I was always copying notes. Sometimes, my friends and sisters helped me but copying was my middle name. I learnt to read ahead of time so that even when I was sick, I would still be able to write my exams. I hated pity and I never wanted people to feel I go ahead because of that so I worked hard and passed well. Unfortunately, I had to repeat my Advanced Levels because revising with intense pains was just not possible. University was harder. Most of the friends I was familiar with opted for other fields of study different from mine. It was difficult adapting to university life. I was always lost during lectures. Thankfully, I met a wonderful friend who filled in the gap and helped me with lecture notes. Along with hand-outs and my love for books, I was able to sail through. Growing up with the condition was not easy. There were a lot of things I couldn’t do even though I would have loved to. Such as dancing in the rain. Still, these limitations helped fuel my passion for books and writing. So I learnt to love my own company with books and my imagination as companions most times. The bonus point is that my family never made me feel different. In fact, they were and continue to be my biggest cheer leaders. They helped make my life as comfortable and normal as possible. I learnt to cook, do a lot of things within limits of course. Growing up had its challenges but it also had its moments. 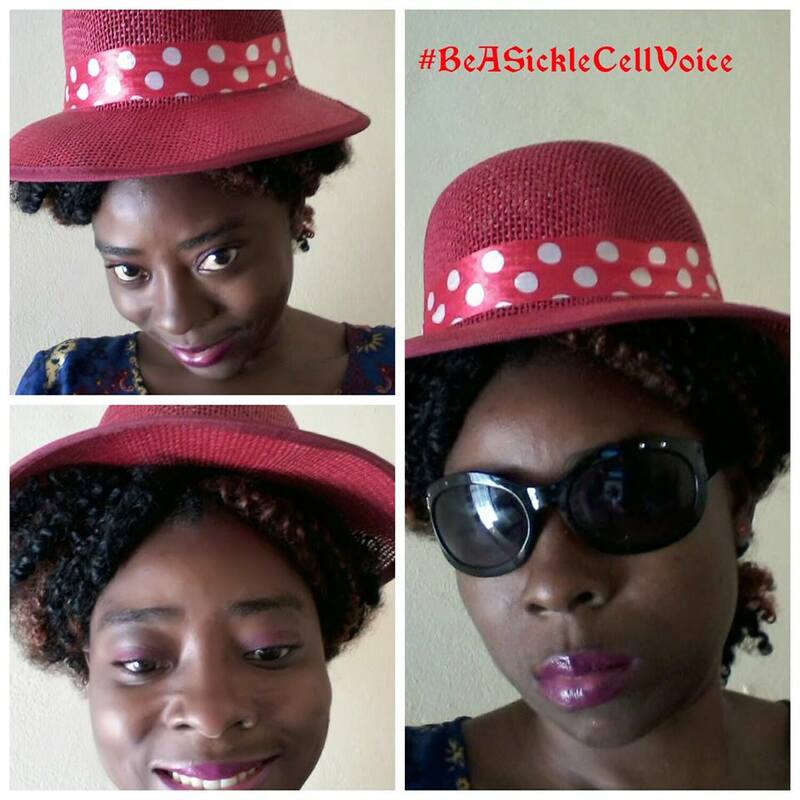 What’s the one thing you want people to know about Sickle Cell? 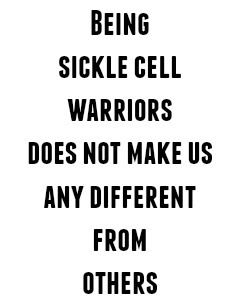 Being sickle cell warriors does not make us any different from others. Sure we face challenges but who doesn’t? 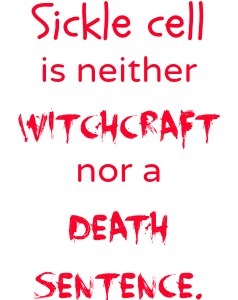 There are a lot of misconceptions about sickle cell and it could be great if people learn all they can about the condition and stop looking at us as if we are the grim reaper’s favourite candidates because Sickle cell is neither WITCHCRAFT nor a DEATH SENTENCE. The challenges are many and they range from physical to psychological. For example I have what I call my thorn in the flesh… an accident that happened while I was in high school and left me with an ulcer that recurs from time to time. I blogged about it in my blog post, “Warrior’s Stripes”. When it recurs for no apparent reason, the pain and financial burden are a major challenge. Financially, there are always holes in my pocket ?. The battle for survival means most often, it is from the bank to the pharmacy or hospital. Emotionally, well I am human too and I always wish to have that special someone. Still, it is challenging to constantly fend off people who feel because I am sick, I should be happy and content with their offers of making me… should I say their play thing? Okay, I will leave it there. Life has been a challenge no doubt but there have and continue to be moments of great joy I couldn’t trade for anything. And with just a little care and prayers, I learnt to deal with my condition positively and with a lot of humour and so I keep standing tall , because life goes on. What is it like being hearing impaired? As a child, I hated being called ‘mumu’ and even today, I hate to be classified as deaf. Nothing wrong with being deaf but I am hearing impaired and true, not everybody immediately gets me when I talk but I am neither deaf nor speech impaired. As an adult, I take it all in stride. It has its challenges but it also has its moments. There are times I am actually glad of my hearing impairments because it saves me a lot from listening to some of these you know kind of conversations people really wished they didn’t have to listen to. And when there is a party for example and people complain of noise and being unable to sleep, well, I don sleep me since like small pikin no stress. I don’t mind telling people I have this problem if I have to. I am comfortable in my skin and it doesn’t define me. What are the circumstances that led to this? I cannot say for certain what caused it. All I know is I wasn’t born like this. The only explanation that has made sense to me is the possibility that it may have been a side effect from one of the numerous medications I have taken in this journey called life. How do you cope with your hearing impairment? I taught myself lip reading and after university, I learnt the American Sign Language (ASL). So when someone faces me directly, I can converse easily and normal. Writing still remains my most preferred way of communication but lip reading and signing come in handy a lot of times. Also, I had a first hearing aid experience just before university. It was thrilling to be able to hear noises especially the sounds of nature like birds chirping but polluted noises, traffic and stuff made it difficult so I got used to selecting what I wished to hear by turning my aid on and off when convenient. So with a hearing aid now, you could hear certain things if you choose to? Yes I could but to be honest, I prefer my quiet and lip reading especially as it is sometimes uncomfortable. I miss not being able to hear only on those rare moments I really want to hear someone’s voice. Apart from that I love my natural peace. There is even this question I get: people ask me what will I do if there is danger and everyone is screaming and running away. I say then I will die na. And again, God has and will always make a way for me to feel the sense of danger. Any advice for families of Sickle Cell warriors out there? To families who have to deal with warriors, it is important that they focus on their kids and their potentials and not the condition. Of course it is not always easy but it is far better to be positive than to constantly feel their kids are already with a permanent rose on their chest ready to go six feet under. Using the mind positively does everyone good. While acknowledging the challenges, parents should also look for opportunities and talents of their warrior kids and embrace them. That way, they motivate their kids and the condition is easily managed. The challenges become stepping stones to a healthier, happy and fulfilling life for both the parents and the kids. This is because they make them feel they are NOT different from others. With just a little more love and understanding, parents will push their warrior kids to keep standing tall. I have my down moments but I strive not to be too negative about my lot so life is beautiful this way for me because I strive for positiveness and it is like a soothing effect. Oh my, this was such an inspiring read to me! I hope it inspired you too. No matter who you are or what you face, you can always live up to your potentials. Always! Just make sure you maintain a positive mind. To further spread the word about Sickle Cell, please click one of the social media buttons above or below to share. Stories are keys that unlock others from their prisons so please don’t hesitate to click because someone on your timeline needs to read this. Thank you so much for sharing your very powerful voice, Miss Arrey! Now over to you, reader: Do you know anyone living with Sickle Cell? What are some of the myths about the disease you have heard? She is shinning the light! She totally defines what it means to fight! People like her go very far! Thanks for stopping by, Amaka! Very touching and inspirational. 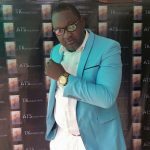 May God bless you Arrey Echi and thanks for sharing this with us Precious. Arrey is simply phenomenal. Thanks for your kind words, Bern. Really inspiring Arrey. Am so…. Moved by ur sincerity! It has help me a lot to know that despite what ur going through God is always there! We hv hope and always live by it! God is certainly always there! This was inspiring and funny. Like when she said if there was danger "I will die then". I do know a few people who live with sickle cell, and it's not an easy experience. However, they are warriors and a lot of them are making such a positive impact in creating awareness. As a pre-caution, I'm of the opinion that AS should as much as possible avoid getting married to AS as well. Meeting you has been one of the best things that happened to me in these interwebs. 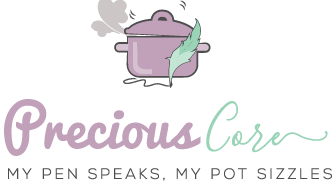 The bonding and shared love for writing and the kitchen especially always make me feel like we have always known each other. What more can I say? Thank you so much Pre for taking the time for this interview and sharing my story. It is humbling to see so many taking an interest in my tiny voice and joining me in this fight to be a sickle cell voice. Thank you. I pray in our own little ways, we can all inspire others and warriors especially to embrace their challenges but strive for a positive life. May God continue to bless your efforts to inspire and share stories which inspire others too we hope. Thank you for amplifying my voice. Thank you very much Nancy. Thanks for reading and for the kind words. I am glad you felt inspired by this. 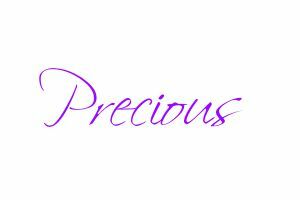 Yes God is always there and for as long as there is life, there is always Hope eternal sure! Amen and thank you for reading and the kind words, Bern. Thank you so much for reading and for the motivating words. I'm of that opinion too, Kachee. So the kids don't get to suffer. Thank God for the warriors who are all about creating a positive impact. The feeling is mutual, dear. I'm so glad I met you. I have learnt so much from watching you take on this journey of life. May God empower to continue to bless others and make a difference. Kachee, thank you for stopping by and for the encouraging words. You are right, in as much as possible, AS should avoid getting married to AS especially if they plan to have kids. The risks are 50-50 but it is better to avoid if you can or detect the gene of the child and carry out some medical procedures. I don't know what it is called but I hear there is something like that. Thanks for picking out that funny line 🙂 It is a greeat thing to see many warriors raising their voices. Knowledge remains the best defence. She is the very definition of a warrior, Melvis. Thanks for stopping by, dear. Thank you very much for the kind words, Melvis. More blessings to you. This is really inspiring. I thank God she has chosen to see the bright side of life and not weep over the anaemia. We can all learn a thing or two from her positiveness. Many thanks Pre. Just like U too. Arrey I indeed appreciate the courage and positiveness in you.Thanks very much for sharing ur story ,I believe from ur story many who had given up would regain strength to continue fighting.u re a strong woman indeed .I pray God’s abundant grace ,healings and blessings locate u.
Amen. Thank you for reading, dear.